Preliminary dates for the excavation season are June 12–July 9. Staff and trench supervisors will stay until July 16 for a final week of finds processing and report writing. This excavation and survey of a large house at Pompeii investigates relationships between domestic material culture, social performance, and historical change. 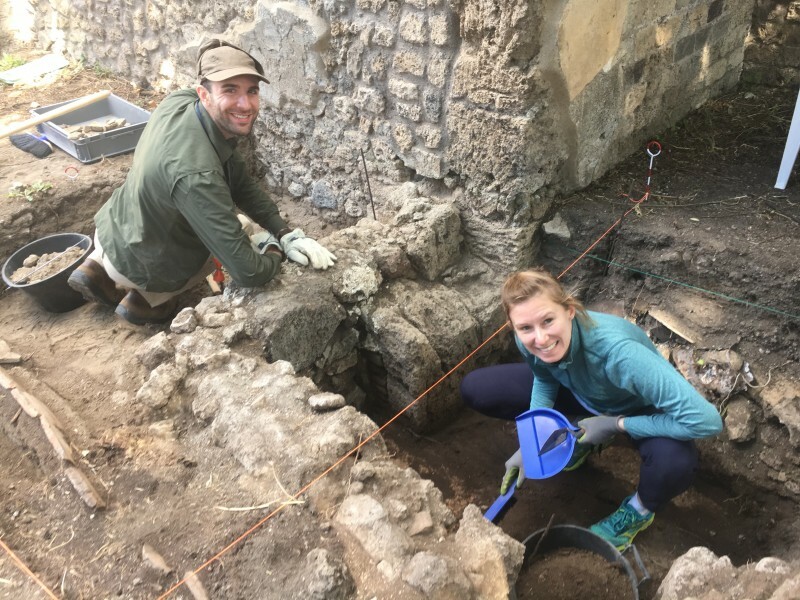 A new study of Pompeian household space provides an opportunity to reexamine traditional, top-down narratives about the relationship between "macro-scale" history (e.g., political or military developments) and the "micro-scale" of daily domestic experience. The site of Pompeii is central to any account of Roman households and daily life, as well as to the history of household archaeology more broadly. However, much of the archaeological record at Pompeii results from early excavations conducted before modern field methods and recording practices. 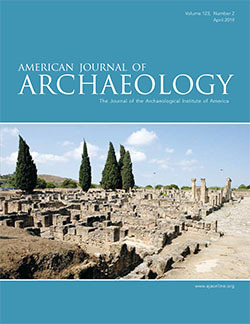 This study focuses on the so-called Casa della Regina Carolina (VIII 3.14), a house originally excavated in the early 19th century. However, only the volcanic ash was removed, leaving the floors and garden unexcavated below the 79 CE ground level. Furthermore, and partly because of the early date of the initial excavations, the house has seen very little systematic academic study. Aside from a few brief mentions in specialist publications, little detailed discussion of the house as a whole has appeared since the 19th century. Additionally, the house’s pre-79 CE phases remain entirely unstudied. The present project aims to survey the house and excavate the garden area, where our initial season in 2018 discovered evidence of an earlier occupation phase. 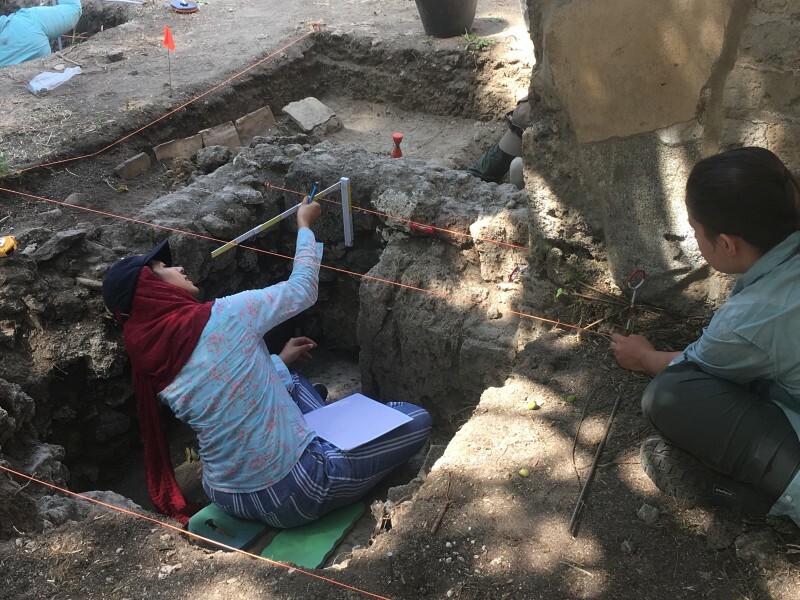 The initial field season involved ground-penetrating radar, LiDAR recording of standing architecture, a vegetation survey, and some preliminary excavation. That excavation confirmed the presence of intact stratigraphy and identified earlier Samnite or Republican domestic structures beneath the 79 CE stratum. Excavation in 2019 will focus on subsurface features identified by GPR, as well as further uncovering the pre-79 CE domestic structures identified in the 2018 excavations. Graduate and undergraduate students are invited to apply for volunteer positions as diggers or trench supervisors, depending on experience. We are also looking to fill the positions of finds registrar, faunal specialist, and site photographer. Applicants should send a CV, recent transcript, and 2-page statement of interest to reginacarolinapompeii@gmail.com. Minimum Length of Stay for Volunteers: Preference will be given to applicants who can commit to the full 5-week season, but shorter stays may in some cases be negotiated. Preference will be given to applicants with (1) at least one season of prior field experience or field school training and (2) prior coursework in Archaeology, Classics, Anthropology, and/or Art History. 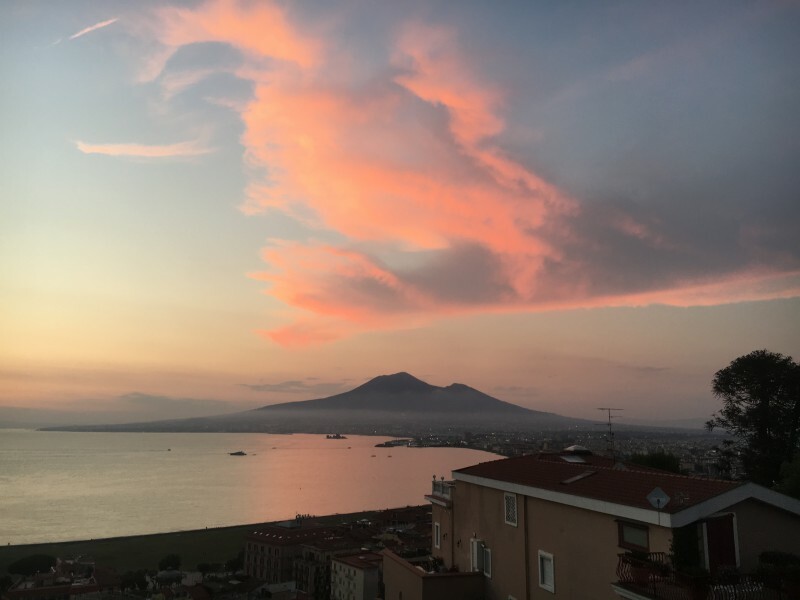 Undergraduates will stay at the Vesuvian Institute in Castellammare di Stabia. The Vesuvian Institute provides full board (breakfast, bag lunch, and dinner). Graduate students and staff may stay either at the Institute or in rental apartments; those who opt for apartments will work with the project manager to find housing. This project does not charge tuition or fees. However, participants should be prepared to pay for their own travel, room, and board expenses. A double occupancy room at the Vesuvian Institute with full board costs €45/day per person. Bragantini, I. 1998. “VIII 3, 14. Casa della Regina Carolina.” In Pompei: pitture e mosaici, ed. I. Baldassarre, Vol. 8, 395-411. Rome. Allison, P.M. 2004. Pompeian Households: An Analysis of the Material Culture. Los Angeles. Dobbins, J.J., and P.W. Foss, eds. The World of Pompeii. New York/London. Hales, S. 2003. The Roman House and Social Identity. Cambridge. Hales, S. 2013. “Republican Houses.” In A Companion to the Archaeology of the Roman Republic, ed. J. DeRose Evans, 50-66. Malden/Oxford/Chichester. Marzano, A. 2007. Roman Villas in Central Italy: A Social and Economic History. Leiden/Boston. Marzano, A., and G.P.R. Métraux, eds. 2018. The Roman Villa in the Mediterranean Basin: Late Republic to Late Antiquity. Cambridge. Wallace-Hadrill, A. 1994. Houses and Society in Pompeii and Herculaneum. Princeton. Wallace-Hadrill, A. 2011. “Pompeian Identities: Between Oscan, Samnite, Greek, Roman, and Punic.” In Cultural Identity in the Ancient Mediterranean, ed. E.S. Gruen, 415–427. Los Angeles. Zanker, Paul. 1998. Pompeii: Public and Private Life. Trans. Deborah Lucas Schneider. Cambridge, MA. Allison, Penelope M., ed. 1999. The Archaeology of Household Activities. London/New York. Müller, M. 2013. Household Studies in Complex Societies: (Micro) Archaeological and Textual Approaches. Chicago. Nevett, L. 2010. Domestic Space in Classical Antiquity. Cambridge. Barrett, C.E. 2017. 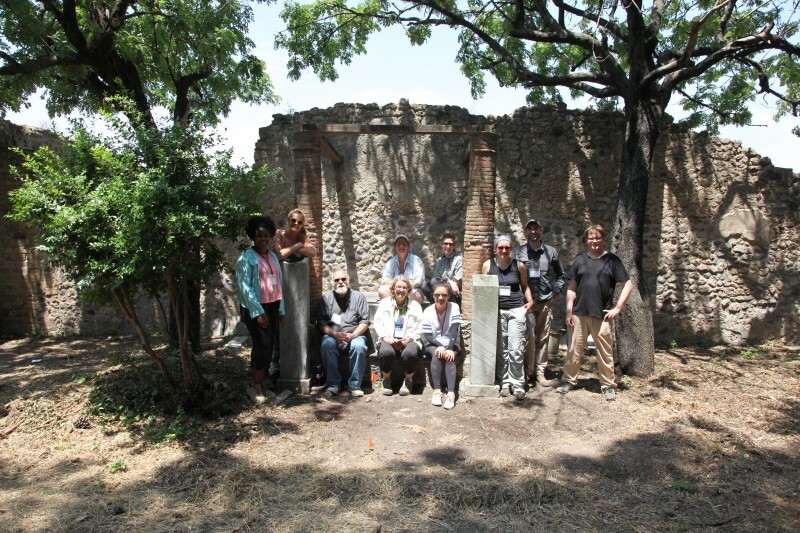 “Recontextualizing Nilotic Scenes: Interactive Landscapes in the Garden of the Casa dell’Efebo, Pompeii.” American Journal of Archaeology121: 293-332. Barrett, C.E. 2018. Domesticating Empire: Egyptian Landscapes in Pompeian Gardens. Oxford. Jashemski, W.F. 1979 (Vol. 1), 1993 (Vol. 2). 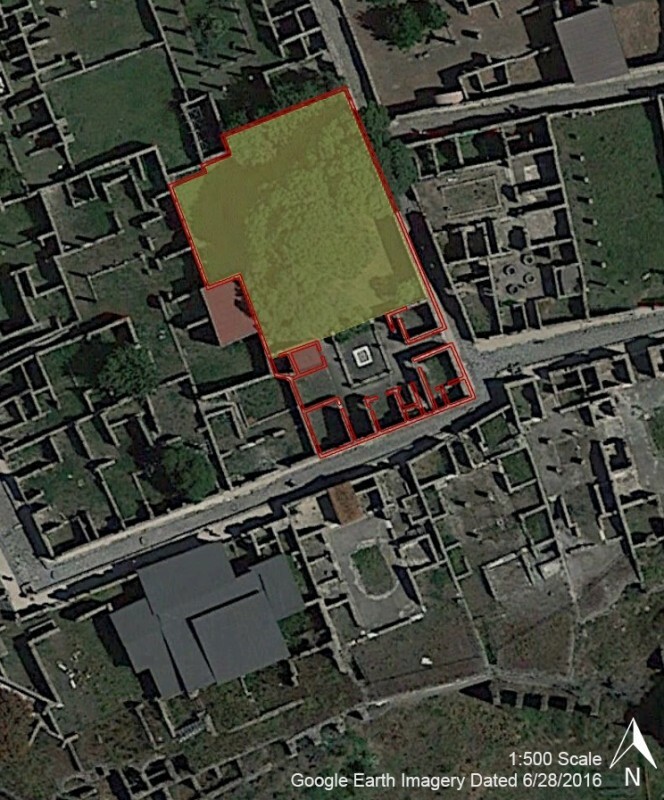 The Gardens of Pompeii, Herculaneum and the Villas Destroyed by Vesuvius. 2 vols. New Rochelle, NY. Jashemski, W., K. Gleason, K. Hartswick, and A.-A. Malek, eds. 2017. Gardens of the Roman Empire.Cambridge. Malek, A.-A. 2013. Sourcebook for Garden Archaeology. Bern. von Stackelberg, K.T. 2009. The Roman Garden. New York.